It’s well known from extensive research that fragrance, whether natural or synthetic, is a common sensitizing ingredient for all skin types. 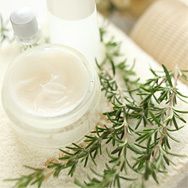 Yet despite this information, fragrance components lie in wait in more skincare products than you can imagine. Lots of people have a difficult time accepting the fact about fragrance being a problem for skin, so the best place for us to start is explaining what the concern is all about. The way most fragrance ingredients impart scent is through a volatile reaction. Unfortunately, this natural reaction almost always causes a sensitizing reaction on skin. In fact, research has established that fragrances in skincare products are among the most common cause of sensitizing and other negative skin reactions. And this is true for all skin types, not just those with sensitive or redness-prone skin. It’s part of our mission to rely on what scientific research has shown to be true so you can take the best possible care of your skin—and that means avoiding or at the very least minimizing your skin’s exposure to fragrance.